Jennie C. Fobare, 89 of Kissimmee, Florida passed away Saturday, April 13, 2019. She was born in Ft. Edward, New York and moved to Kissimmee, Florida in 2016 from New York. She was a retired pre-school teacher and a catholic by faith. 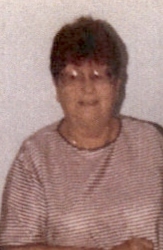 Jennie is survived by her son Richard (Rick) Fobare of Kissimmee, Florida; sisters: Dorothy Nichols of Roanoke, Virginia, Josephine Barlow of Hudson Falls, New York; 3 grandchildren: Jason Garrett of Knoxville, Tennessee, John Duncan of Roanoke, Virginia and Stephanie Duncan of Roanoke, Virginia. Jennie was preceded in death by her beloved husband, Emory Fobare, her son, Gary and her sister, Mary Smith. Services will be held in Roanoke, Virginia through the Oakey's Funeral Home, 6732 Peters Creek Road, Roanoke, Virginia 24019; ph: 540-362-1237. The Fobare family is being cared for locally by: CONRAD & THOMPSON FUNERAL HOME, 511 Emmett Street, Kissimmee, Florida 34741; 407-847-3188.